One of the main points of contact between residents and their town government happens in the process of obtaining building permits. Now, this often cumbersome and frustrating process has been simplified in the Town of Oyster Bay—and for many projects, it can be done in one visit. 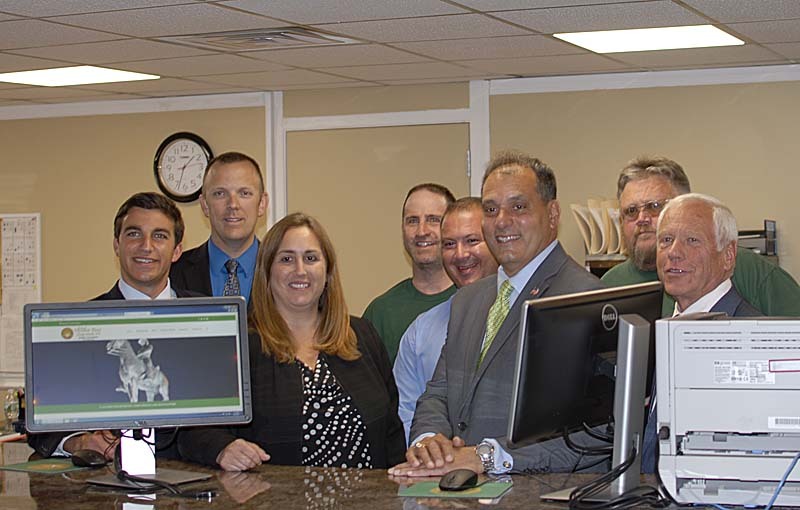 On July 26, Supervisor Joseph Saladino and the town board announced the opening of an upgraded department satellite office in Town Hall South, 977 Hicksville Rd. in Massapequa. 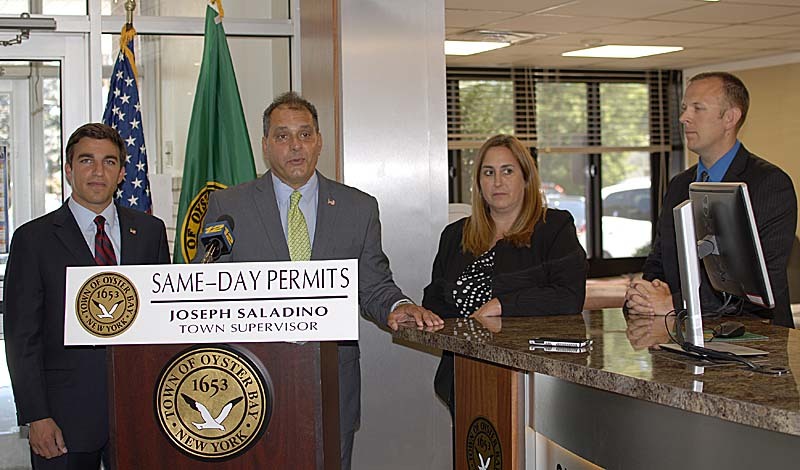 Saladino also announced the inauguration of the same day permit program at the Massapequa location; it had been available in the main office in the Town Hall in Oyster Bay since April. “Our communities were hit hard by Hurricane Sandy, so we understand speeding things for them is very important,” added Saladino. In addition, said the supervisor, the town’s website has been improved so that permit seekers will know what kind of information and paperwork to bring to the office. If applications need a variance, residents will be given the necessary paperwork so they may immediately begin the process of seeking approvals from the Zoning Board of Appeals. “What kind of projects are not eligible?” Maccarone was asked. “Second-story additions, new homes, large interior modifications or major construction,” Maccarone responded. Councilman Lou Imbroto took part in the unveiling and noted that residents have until the end of the year to take advantage of the town’s building permit amnesty program, which was designed to allow residents to obtain the necessary permits required on building improvements previously done to their homes, without incurring stringent penalties. The program runs through Dec. 31, 2017. Building permit applications are also available online at www.oysterbaytown.com. To contact the Department of Planning and Development, call 516-624-6200.